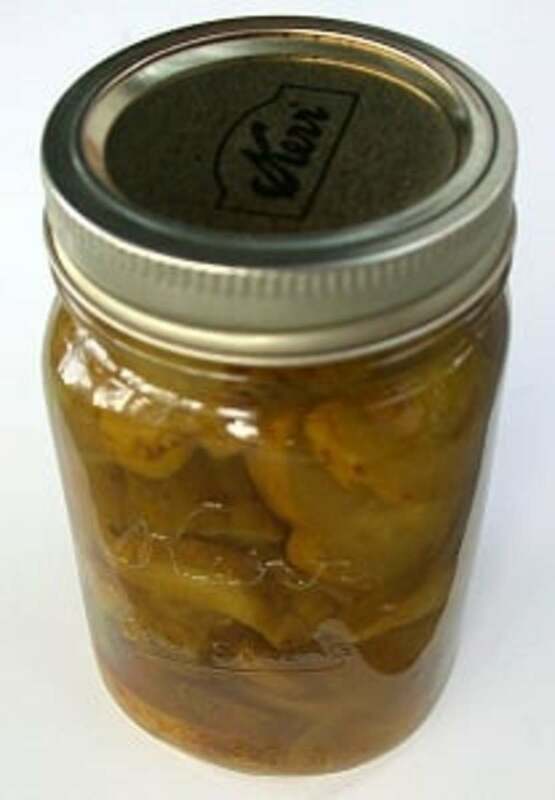 Around our family, we affectionately refer to quick pickles as refrigerator pickles or belly pinchers. 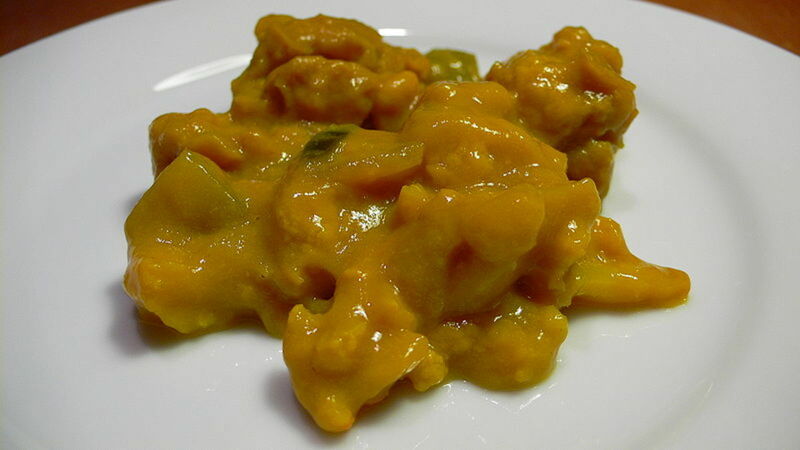 Belly pinchers is the term used to describe refrigerator pickles that are good to chew on, but if you eat too many of them you will get a belly ache, hence the term belly pincher. 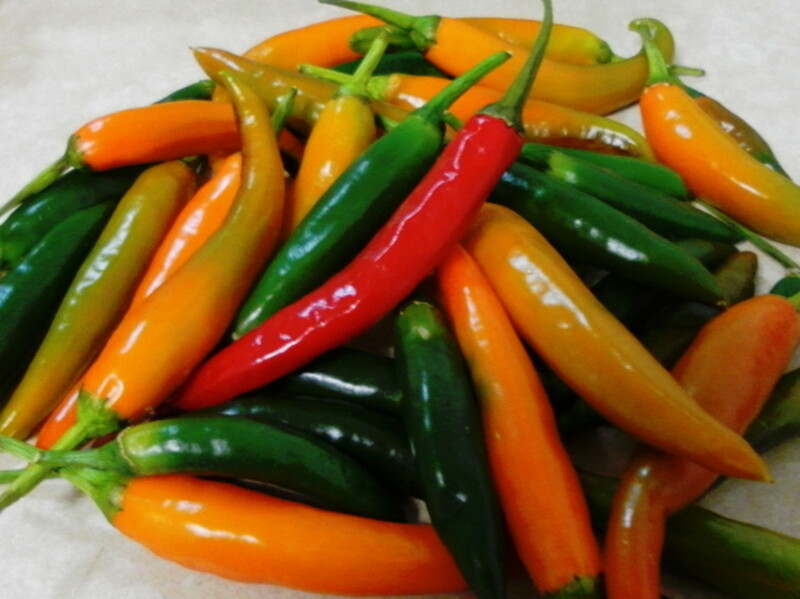 The flavor is tangy. Sweet, yet salty. Sour, yet not sour. There is a flat cucumber taste, yet the flavor of the salt and vinegar perks it up. There is a crunchy quality and a limp quality. 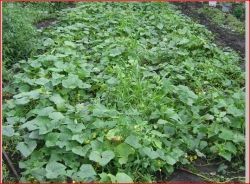 Pick your cucumbers, making sure to use cucumbers that are long and not more than four inches around, The bigger the cucumbers, the more likely they have 'gone to seed' and will have seeds in them. 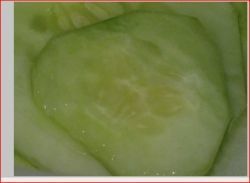 You can eat the cucumbers with seeds in them, but it is preferred that you pick them before there are formed seeds. 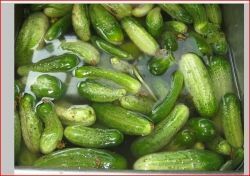 Wash your cucumbers and peel and discard the outer skin. Discard the ends. Some people leave the peels on but this is a personal choice. You decide. 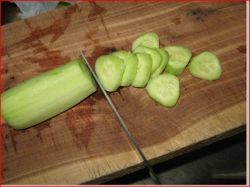 Slice the cucumbers crosswise into pencil thick slices. You can adjust the slicing to your preference. 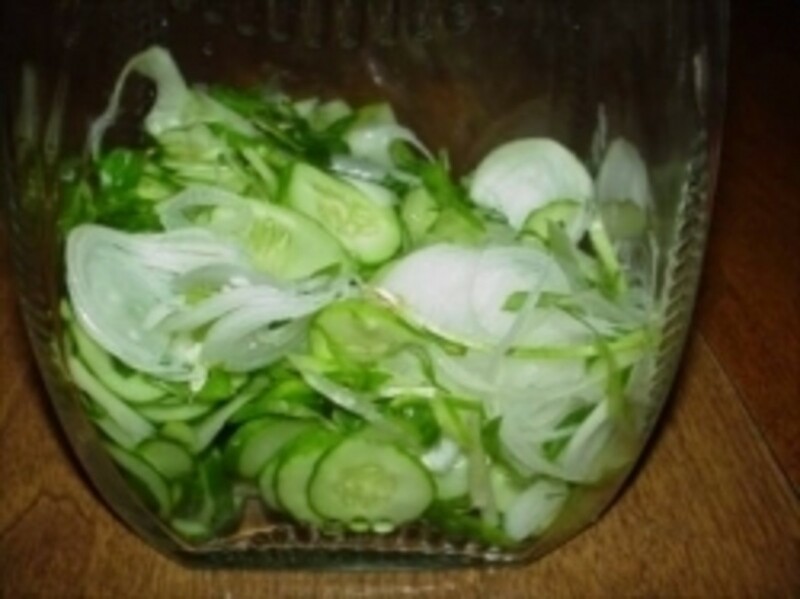 Add a tablespoon of canning salt to your sliced cucumbers and let them sit for a while. They will release a lot of their water content. Just drain this off. 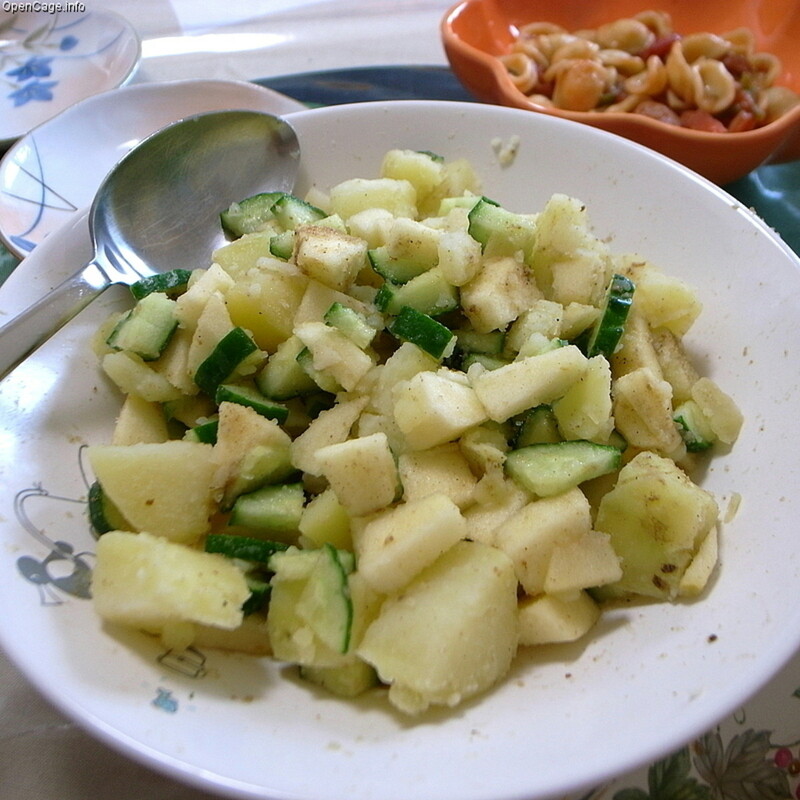 When the cucumber slices have wilted and you have drained them off, add one cup of white vinegar and one cup of white sugar plus a teaspoon of mustard seed. Let sit in the refrigerator to cool. Well, try to let them sit in the refrigerator. These are good as soon as you put the salt on them. Sample as you go. What's the worst that can happen? Well, if you eat them before you get them to the refrigerator, you will simply just have to peel more cucumbers. 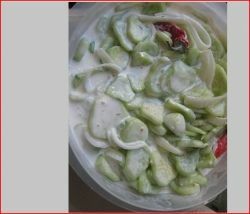 Oh, and if you prefer them creamy, just get some 1/2 and 1/2 cream, pour over the drained, wilted cucumbers. Add some Ranch Dressing and some Creamy Italian Dressing and once again, you've got yourself a yummy treat. Wash the dirt and blossoms off. 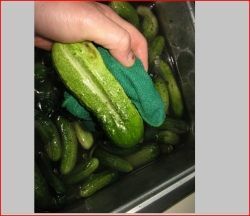 If you have a large quantity of cucumbers to clean up, you can put them in your washing machine with a bath towel. Put on gentle cycle for a few minutes. It works great! 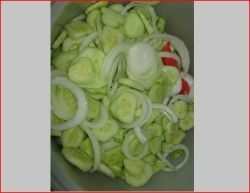 Discard the ends of the cucumber. Nope. 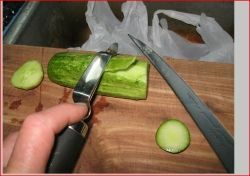 You do not want to eat the ends of the cucumber. 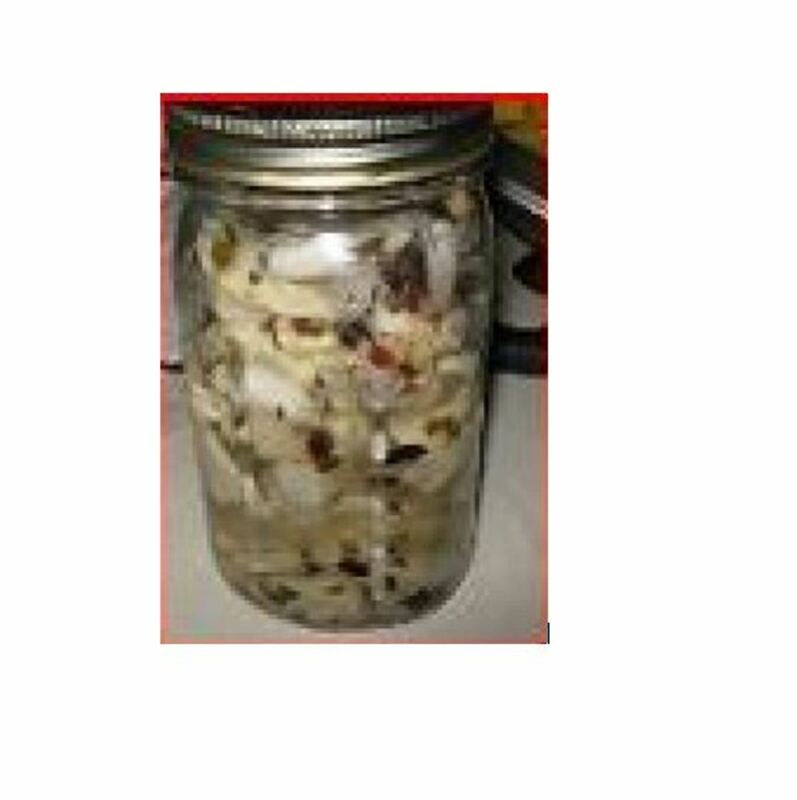 Although, some people do like the taste of the peelings. So. You make the choice. The peel is edible if you choose to eat it. Again, this is a personal choice. You can slice either cross ways, like the picture shows, or lengthwise. 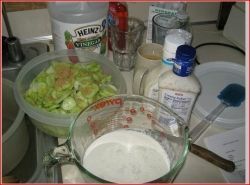 Use Half and Half Creamer, vinegar, Ranch Dressing and Creamy Italian Salad Dressing. Add mustard seed and ENJOY! Cucumbers grow from seeds. A packet of seeds contains both male and female seeds. You will need both to grow cucumbers. 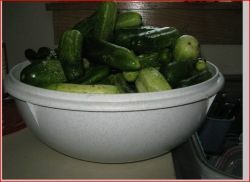 Cucumbers can be grown in hills, rows or on fences. We grew our cucumbers on a fence this year, thinking that it would make it easier to pick them. Well. 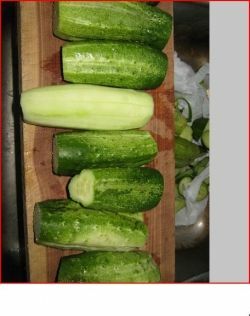 It is almost more work, since you have to view the cucumbers from the one side and pick them from the opposite side. Gardening is always an adventure. Do you like the taste of freshly pickled cucumbers?